People in the United States drink more than 2 billion gallons of bottled water each year, NYU Langone Medical Center estimates. 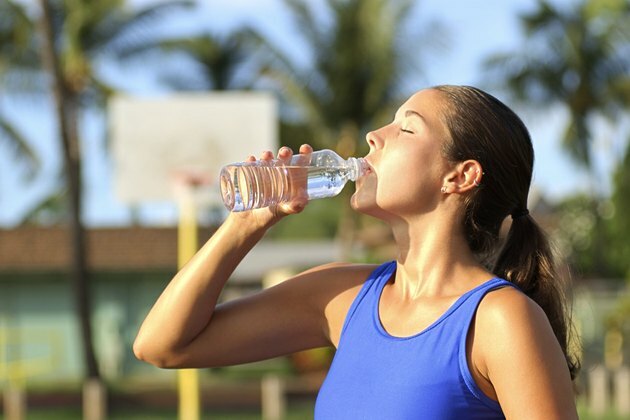 Bottled water is defined as any water that is sealed in a bottle and intended for human use. However, the bewildering array of options can make things confusing. Filtered and distilled water are two types of bottled water that are available for drinking. All water that is intended for human consumption undergoes a basic filtration process. In addition, the water is treated, often with different chemicals, to ensure that it meets the safety standards set out by the U.S. Environmental Protection Agency. In the case of tap water, the water is filtered for contaminants and particles, and then treated by municipalities to ensure its safety. However, filtered water that is available for sale in bottles is often subject to a specialized filtration process that may be more stringent than the standards set by the EPA. Micron filtration filters water through microscopic holes, which remove more contaminants than standard filters can. A good micron filter will remove most chemical contaminants and microbes. In some cases, highly filtered water may be called purified water, which is legally required to contain less than 10 parts per million of contaminants. While not all filtered water is purified water, all purified water has been filtered. Distilled water has undergone a very specific treatment process. Water is first boiled to produce steam, and then the steam is allowed to condense in a separate container and is collected as distilled water. During distillation, all contaminants are boiled out of the water. This process also removes salts, metals and minerals, giving distilled water a curiously neutral or “flat” taste. Because of its lack of taste, distilled water is often used in science labs, although it is available for sale as drinking water. Distilled water is not recommended as your primary source of hydration, according to the World Health Organization. Distillation removes potentially harmful contaminants, but it also removes all beneficial nutrients, including essential minerals such as calcium and magnesium, as well as fluoride, which is often added to municipally treated water. Fluoride in water helps keep your bones and teeth healthy. Distilled water may also contain traces of chemical cleaning agents used on the distillation containers, some of which may evaporate with the water, potentially contaminating the fluid. Alabama State Water Program: Is Distilled Water the Best Quality Drinking Water? What Are the Health Benefits of Drinking Distilled Water?